This week I’m going to show you a mind-boggling business opportunity and market. The profit potential is enormous. But before I give you all the nuts and bolts I must warn you. The downside risk in this market has ruined many would be millionaires. I’m talking about the Treasury bond market or “T-bond” for short. It’s a $45 trillion dollar worldwide cash monster. I know….I know….. It sounds great, but what about an entrepreneur with limited cash, investment savvy or market knowledge? Can you imagine getting paid a fortune running a business where you do very little of the actual work? Well today we’re looking to share exactly this with a few lucky apprentices. Why? Because rather than teach you; here is a business we can literally give you. No risk. Nothing technical. No developing products. No writing. Best of all: virtually NO WORK! Look……I started trading T-bond futures when my bank account was so small I was charged a minimum balance fee every month! But that didn’t stop me. What’s more, you can tap into this “global monster” from the comfort of your home. Plus…..there are ways to reduce risk. When you learn how to reduce risk and avoid trading like Las Vegas losers….you can make a living in this market. I was an average student in school. So being “smart” is NOT a prerequisite. But one thing helped me….. I developed a passion for learning and this made all the difference. You could do the same thing. And get this….. I learned some neat trading strategies from close friend and professional trader. I’m going to show you one these strategies today. My friend showed me how to trade without moving to Chicago or New York (where the two major exchanges are physically located). On top of that, he showed me how to limit my downside risk with a technique only professional traders utilize. I’ll show you this technique in a second. Trading T-bond futures is a blast and much easier to do today thanks to the Internet. Granted, there are a ton of seasoned, street smart T-bond traders with very, very deep pockets (i.e. lots of money)… and they love shearing “sheep” (small speculators) when they enter the market. But it’s a fairly level playing field, and you’ll have access to same opportunities to make a living in this business as they do. There are ways to make in this market if you have limited resources too. In fact, there are contracts specifically designed for smaller speculators called “mini” contracts. These were not available when I started trading. But in order to walk into a $45 trillion market and remove money from the table, you’ll need to understand how the game is played. And you can’t learn everything in 15 minutes. Actually, you’ll need to understand how the game is played by successful professional traders who consistently remove profits from the market. When you open a trading account with a commodity brokerage, you’ll see a lot of “fine print” in the application. 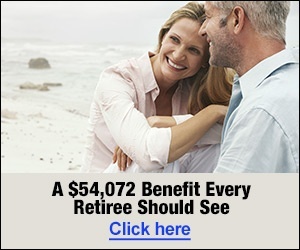 But it’s the same amount of fine print you would see when you open a bank account or buy a piece of property. Don’t let the fine print discourage you from starting this business and making money! Don’t kid yourself. There’s a risk of losing money in this business … and I’m not pulling any punches. No One is Holding a Gun to Your Head! Anyway, the gentleman was robbed at gunpoint by a 20 year old kid with a 357 magnum handgun. If you’ve ever looked into the barrel of a 357 magnum, you know how terrified the motel owner must have been. The motel owner told reporters he was still shaking a week later. He decided to install a bullet proof shield around the motel check-in counter for protection in the future. That’s my definition of a HIGH RISK business opportunity! No one is going to hold a gun to your head when you’re trading T -bonds. Granted, there may be some stress and fatigue involved when you trade a market this large (and fast moving). But…..at least you won’t be investing a million dollars into a venture that might break even … and be scarred for life after getting robbed. As I’ve said…..there is a financial risk trading T-bonds. But I’ll show you how professional traders limit risk, and how they manage profits too. The bond market – also known as the debt, credit, or fixed income market – is a financial market where participants buy and sell debt securities. The size of the international bond market is an estimated $45 trillion+. “What are T-Bonds? — How Do I Trade Them”? A futures contract is a standardized contract, traded on a futures exchange, to buy or sell a certain underlying asset at a certain date in the future at a pre-set price. The buy or sell date is called the delivery date or final settlement date. The pre-set price is called the futures price. The price of the underlying asset on the delivery date is called the settlement price. The settlement price normally converges toward the futures price on the delivery date. A futures contract gives the holder the obligation to buy or sell an asset like corn, gold, currencies, or, in this case, Treasury bonds. Both parties of a “futures contract” must fulfill the contract on the settlement date. The seller delivers the asset to the buyer – or, if it is a cash-settled future like T- bonds, cash is transferred from the futures trader who sustained the loss to the one who made the profit. To exit the commitment prior to the settlement date, the holder of a futures position has to offset his position by either selling a long position or buying back a short position, effectively closing out the futures position and its contract obligations. Futures contracts – usually just called futures – are traded electronically on almost every financial exchange in the world with a system called GLOBEX. The exchange’s clearinghouse acts as counterparty on all contracts, sets margin requirements, etc. You’ll find current futures settlement prices in just about every national newspaper that has a finance section and on any viable financial website. Amateur traders in every financial market usually become invincible after a large winning trade. What’s more, they often become arrogant and feel like Superman (I’ve been there and done that!) As a result, they don’t know how or when to stop and take their profits. But professional traders approach the market with a calm, deliberate assurance. 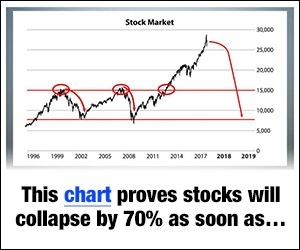 Every market tends to move in cycles, trends, or waves. The insider trading secret I discovered utilizes these cycles. The essence of this trading secret is to leverage your positions through a series of four trades. Then and only then you remove your profits and start over again … small. You see……starting small and only risking a small amount of capital on any given trade is an extremely powerful concept. Here’s a hypothetical trade using my insider trading secret. Picture an inverted (upside-down) pyramid in your mind. Now you have the basis of what this trading strategy is all about. Let’s say you think T-bond futures are going to rise dramatically because of tension in the Egypt, or for some other reason. So you buy one June 2011 T-bond futures contract “at the market” (the current market price). This is the first in a series of four trades. Your assumption proves correct – and the June 2011 T-bond futures contract takes off. The next step is to sell this June 2011 T-bond contract “at the market”. When this order is filled, you buy TWO June 2011 T-bond contracts. This is the second trade in a series of four trades. Okay…..let’s say the T-bond market continues higher. Now you sell the TWO June 2011 T-bond contracts at the market. When this order is filled, you purchase THREE June 2011 T-bond futures contracts at the market. This is the third trade in a series of four trades. Do you see the pattern here? On paper, it looks like an inverted pyramid. Each time you increase the number of contracts that you buy or sell, your profit or loss will increase exponentially as well. In our hypothetical trade, we have completed three trades in our four trade series. Now we’re going to sell THREE June 2011 T-bond futures contracts at the market. When this order is filled we’ll buy FOUR June 2011 T-bond futures contracts at the market. In the real world, markets do not go straight up or straight down indefinitely. But in our hypothetical example, let’s say the June 2011 T-bond futures continue to surge. Finally…..we sell all FOUR June 2011T-bond futures contracts at the market. This completes our series of four trades. Now we’re going to remove most of our profits from the market – whether it’ s $5,000, $10,000, $20,000, or whatever – and put this money into a separate account. Then we can do another series of four trades. But…and this is very important…. we’re going to start over again small. That’s the important thing to remember about this trading strategy. Most amateur traders “let it ride” – like they’re high rollers in Las Vegas. 96% of the people who gamble in Las Vegas lose. Most people lose more than they’re willing to admit to. But we’re approaching T-bond futures like a professional. A professional trader leaves the game with some money in his pocket. Amateurs leave the game shell-shocked and broke or worse. The insider secret I’ve outlined today has probably produced more millionaires than any other system. And keep in mind that we were using minimal trading positions in our hypothetical example. Top traders use this insider technique by trading hundreds of contracts in each four-trade series before they remove all their profits … and then start over again SMALL. 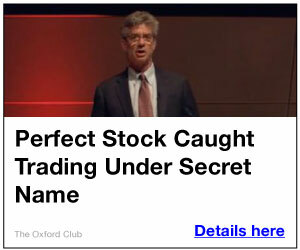 That’s exactly how to make money by trading T-bonds like the big boys. 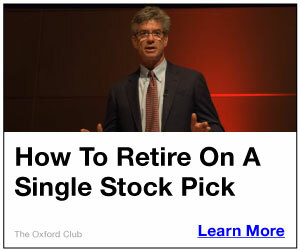 This strategy also enables you to limit your risk, because you won’t be “pyramiding” your positions indefinitely. Trading T-bond futures won’t be an ideal business for every entrepreneur. For one thing some trading capital is required. And, make no mistake about it, there’s a lot more to understanding this market and business than what I’ve shared with you today. That’s why I’ve included a bunch of valuable resources for you at the end of this issue. But you can make money – a lot of money in this market– whether T-bond prices go up, down or sideways. Do you need cash now, quickly, easily and ethically? Sure you do, that’s what we’ve all been looking for. However, it seems like we run into the same problems…There is either not enough time in the day, lack of know-how or simply do not have any products to sell. A super low risk way to trade T-Bond is with exchange traded funds or ETFs. The only money you risk is the initial purchase price you pay per share. You can start trading these immediately. If you prefer the leveraging power and money making potential of T Bond futures you can practice on paper without risking a dime! Don’t kid yourself – there are substantial risks trading T Bond futures. So my recommendation is to paper trade to get a feel for the market. And then when you are ready and have the resources to trade you can open a real T Bond futures trading account. Elliott Wave Principle by Robert Prechter Jr.
All About Futures, by Russell Wasendorf Sr.